Sitting at your PC can be an anti-social affair. Often you’re stuck upstairs in the spare room while everyone else is downstairs in the living room. Even if you have a laptop it’s not easy for everyone to gather round and share the experience in comfort. Although you can buy cable to connect PCs to most modern TVs you still have to stand or sit next to it to operate it. I like Hillcrest Labs’ solution. Its Loop Pointer is a ‘freespace’ mouse that controls an on-screen cursor for your PC or Mac. 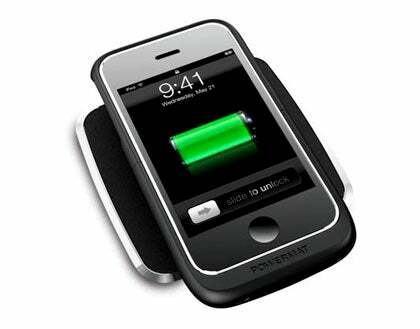 It works a bit like a Nintendo Wii remote in that it uses motion sensors that respond t o your arm and wrist movements. All you need to do is plug the USB 20 Transceiver into your PC and your PC into the TV and retire to the comfort of your sofa. 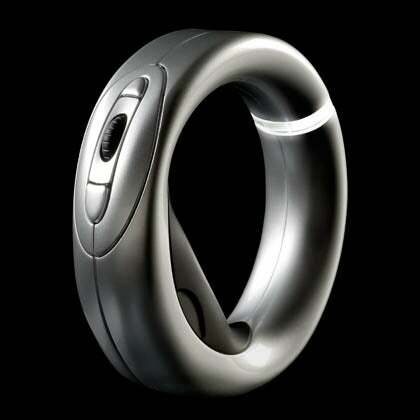 The Loop’s wheel-like shape is very ergonomic and with just four buttons and a scroll wheel it isn’t complicated to use. Now you can browse Flickr, edit your last shoot, run a slideshow or even browse this very website from your favourite chair, perhaps with the whole family gathered round too. And its only US$99 from their website at www.hillcrestlabs.com/loop. I don’t plan on jumping out of a plane with a parachute anytime soon but if I did I’d want one of these stuck to my helmet. 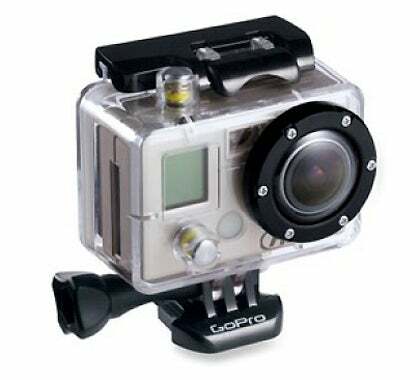 I hadn’t come across GoPro before. Their tiny digital stills/video cameras are designed for action men and women who want to record their adrenaline-fueled activities, with kit options designed to fit them onto helmets, surfboards or cars. 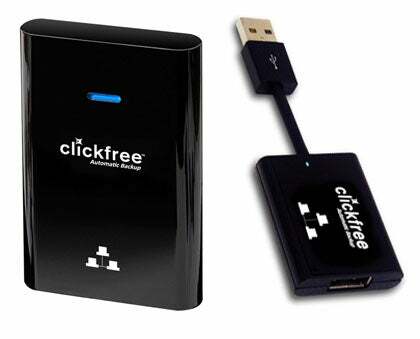 Clickfree is a company that produces automated back-up software on a variety of platforms. They do their own back-up hard drives, of course, but also sell SD cards of up to 32GB with the software on it, and even a small transformer cable that goes between your PC and existing hard drive to turn that into a Clickfree back-up device. Whichever you choose, the software is completely automated so that it backs up everything on your PC, or Mac, without you having to do anything. 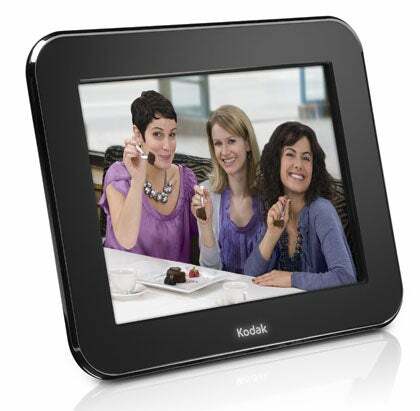 Digital Photo Frames are very popular at the moment and I’m a big fan. They’re great for people like me who can never decide which of our many fabulous photos to frame – you can just show them all, on a continuous loop. I’ve got one on a loop at home loaded with pictures of my kids going back ten years. I’m all for miniaturization but there becomes a point where it gets ridiculous. Lexar has clearly taken a ‘because we can’ approach in the design of their Echo ZE portable USB drive. It can hold up to 32GB of data, and perform automatic back-ups, yet it’s so small that it’s barely bigger than the bit that goes into your PC. Okay, I admit I can see the benefit. I often use my laptop on the train and whenever I insert a USB stick I worry that some oaf if going to amble into it and snap it off, possibly damaging my laptop. Since the Echo ZE protrudes less than a centimetre when its plugged in, you can leave it in all the time. The problem starts when you take it out and put it down somewhere, then need a magnifying glass or a metal detector to find it again!